The cheek pads were alittle tight for my face....other than that this helmet is perfect for me!!! The only Camo Helmet that I could find at a reasonable price with great ratings. Needed a camo dirt bike helmet for the ATV and side by side. This will be my first time buying a helmet of this type. I would be using it for our ATV on the farm. I'm wondering if this product comes with a face shield or if a face shield is something you can add to it. Maybe I don't need a face shield? 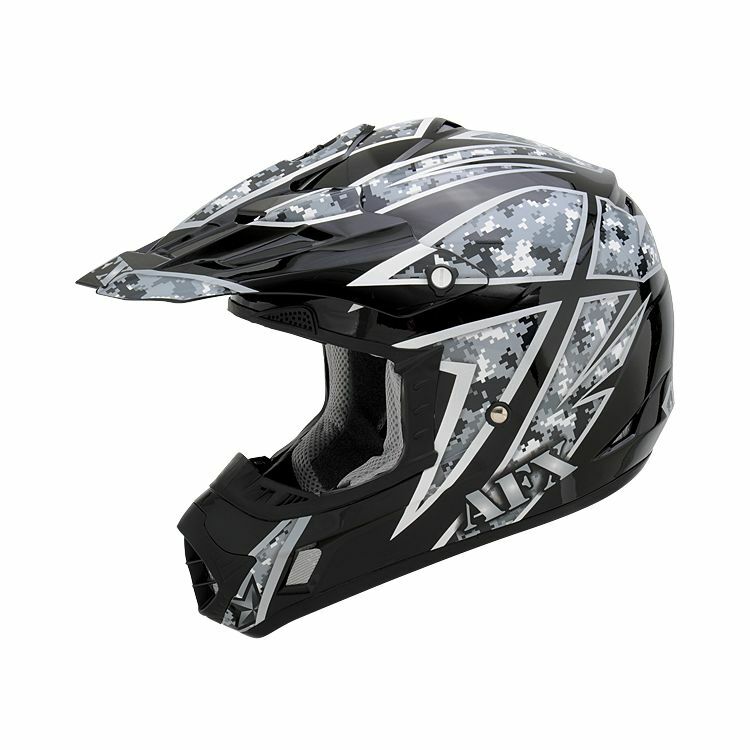 Like I said, this would be the first time buying one, I've only had snowmobiling helmets. BEST ANSWER: It's a good helmet. For the price you can't beat it. I just bought some cheap Scott eye goggles with it and they work great together. This does not come with a face shield. My son used it for dirt biking and added goggles. I don't know if you can add one. I don't have the helmet in my possission, so I am not able to check that. No face shield is available for this helmet. If you are in need of eye protection...i would recommend a good pair of glasses or even some mx googles.